We have the latest in diagnostic equipment including the Ivue OCT, Matrix Field Analyzer and Digital Fundus Camera, and now the Spot Vision Screener. 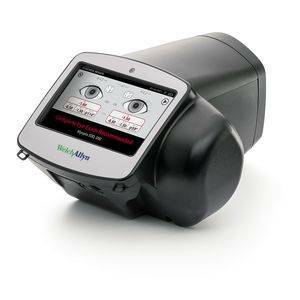 At Margolies Family Eye Care we now carry the Welch Allyn Spot Vision Screener! It is a portable device that helps easily detect vision issues on patients of all ages!